Iodine deficiency disorders (IDD) has been documented since around 5,000 years. However, geological factors like frequent glaciations, flooding, and changing of course of rivers has led to iodine deficiency in soil. As a result everyone remains at risk of IDD, if optimum intake of iodine is not sustained. 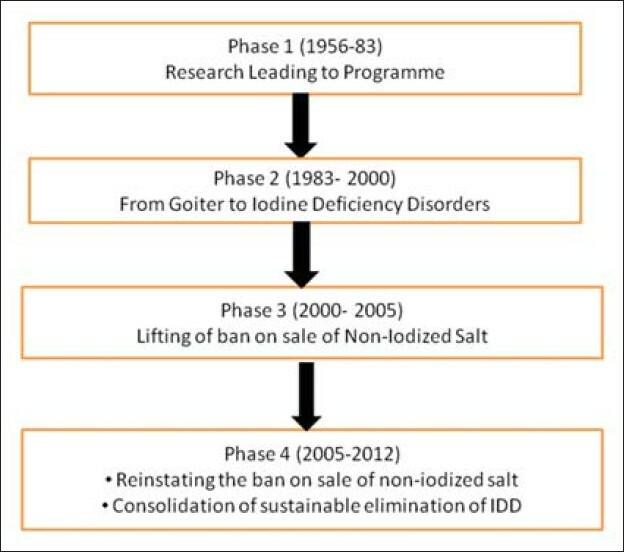 Evolution of the IDD control program in India has been a dynamic process. The model of IDD control program in India provides important lessons for successful implementation of a national health program. In formulating National Health Programs; policy environment, scientific inputs, political will, and institutional structure for decision making are necessary but not sufficient. Continuous and dynamic generation of reliable and representative state and national level data, proactive recognition of values of key stakeholders and addressing them through sustained advocacy, development of partnerships among stakeholders, institutional continuity, and mentorship are critical for achieving sustainability of results. The health scenario in our country is rapidly changing, both in terms of the public health challenges that we face as well as our response to these challenges. As India becomes more and more developed and we have greater means at our disposal, our response to our health challenges must reflect our changing health and socio-economic status. India faces enormous challenges in the area of women's and children's health. India is one of the few countries that have recorded substantial decline in maternal mortality. India is still far from achieving the target set in the millennium development goals. Despite several growth-orientated policies adopted by the government, the widening economic, regional, and gender disparities are posing challenges for the health sector. About 75% of health infrastructure, medical manpower, and other health resources are concentrated in urban areas where 27% of the populations live. To reduce this double burden of diseases, public health has to focus on health promotion, and disease prevention and control, while taking into consideration the social determinant of health. The focus of public health is to bring about change at the policy level not only for preventing disease but also for the health promotion through organized action at societal level. Clinical governance and better human resource management practices are important planks in the current health policies emphasizing quality of patient care. 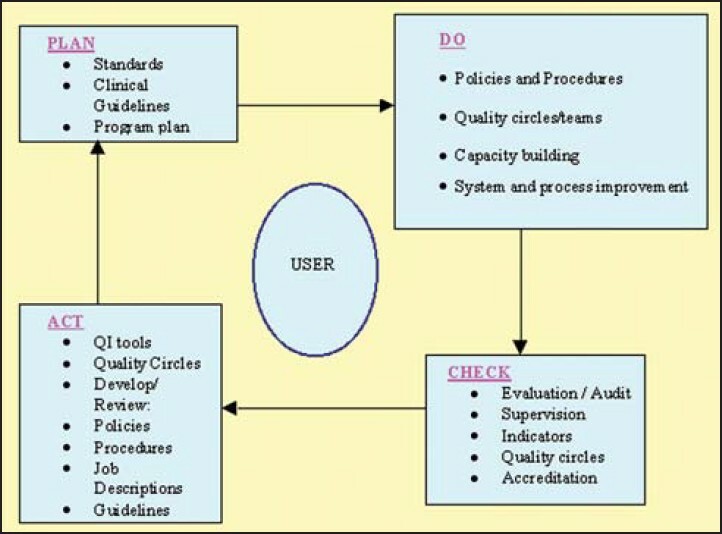 There are numerous reasons why it is important to improve quality of healthcare, including enhancing the accountability of health practitioners and managers, resource efficiency, identifying, and minimizing medical errors while maximizing the use of effective care and improving outcomes, and aligning care to what users/patients want in addition to what they need. "Quality in health is doing the right things for the right people at the right time, and doing them right first time and every time." Quality can also refer to the technical quality of care, to nontechnical aspects of service delivery such as clients' waiting time and staff's attitudes, and to programmatic elements such as policies, infrastructure, access, and management. 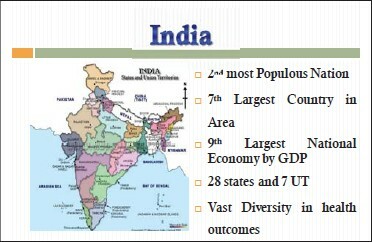 In this oration/article quality initiatives like Reproductive and Child Health (RCH) and National Rural Health Mission (NRHM) of Government of India (GOI), which concentrate on improving the quality of infrastructure of vast rural health facilities including sub-center, primary health center, and community health center has been taken into account with focus on improving quality of health services also. United Nation Population Fund (UNFPA) in collaboration with the GOI has proposed introducing quality assurance program for accessing and improving the quality of services at public sector health facilities. It is felt that improving the quality of health services in public sector will attract the client belonging to low economic strata, and surely will help in achieving the goal of the NRHM, that is, "Reaching the enriched with quality of health services." In this era of evidence-based medicine, innovative teaching learning methods coupled with appropriate mentoring are required to make the undergraduate medical students interested in the speciality of Community Medicine. Teaching research methodology to medical students by a hands-on approach along with mentoring by involving them in small, feasible, sustainable, and replicable studies on a topic of interest clearly showed renewed interest among students toward the subject. Context: Birth Preparedness and Complication Readiness (BPCR) is crucial in averting maternal morbidity and mortality. Objectives: To find out awareness and practices regarding BPCR among pregnant and recently delivered women in Uttar Dinajpur, West Bengal. Materials and Methods: This is a cross-sectional, community-based, mixed methods study. Two-stage, 40 cluster sampling technique was used to select three pregnant and six recently delivered women separately. Information on socio-demographic variables as well as awareness and practices regarding BPCR were collected through semi-structured interview. In-depth interviews with one respondent per cluster were also conducted. For statistical analysis Z test was used. Results: Around 50% of the respondents planned for first antenatal check-up (ANC) within 12 weeks, four or more ANCs and institutional delivery. Proportion of women aware of at least one key danger sign each of pregnancy, labor, postpartum, and newborn ranged from 12.1% to 37.2%, whereas 58.3% knew at least one key component of essential newborn care. Around two-thirds and one-third of women, respectively, especially those from backward and below poverty line (BPL) families knew about cash incentive and referral transport schemes. Proportions of women with first ANC within 12 weeks, four or more ANCs, institutional delivery, saving money, identifying transport, and blood donor were 50.4%, 33.6%, 46.2%, 40.8%, 27.3%, and 9.6%, respectively. Hindu religion, backward castes, BPL status, and education ≥ 5 years influenced the practices except for two regarding ANC. Overall BPCR index of the study population was 34.5. Conclusion: Preparedness in health system, ensuring competence, and motivation of workers are needed for promoting BPCR among the study population. A competent and motivated health workforce is indispensable to achieve the best health outcomes possible through given available resources and circumstances. However, apart from the shortages and unequal distribution, the workforce has fallen short of responding to the public health challenges of 21 st century also because of primarily the traditional training of health professionals. Although, health professionals have made enormous contributions to health and development over the past century, the 20 th century educational strategies are unfit to tackle 21 st century challenges. One of the key recommendations of the Lancet Commission on Education of Health Professionals is to improve health through reforms of professional education by establishing networks and partnerships which takes advantage of information and communication linkages. The primary goal of this manuscript is to highlight the potential of networks and partnerships in advancing the agenda of educational reforms to revitalize public health education in India. 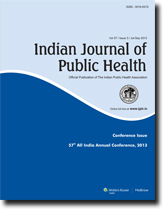 It outlines the current status and expanding scope of public health education in India, existing networks of public health professionals and public health education institutions in the country, and opportunities, advantages and challenges for such networks. Although, we have networks of individuals and institutions in the country, there potential to bring about change has still not being utilized fully and effectively. Immediate collaborative efforts could be directed towards designing and adaptation of competency driven curriculum frameworks suitable of addressing public health challenges of 21 st century, shifting the current focus of curriculum to multidisciplinary public health outlook, developing accreditation mechanisms for both the programs and institutions, engaging in creating job opportunities and designing career pathways for public health professionals in public and private sector. These efforts could certainly be facilitated through existing networks. Background: The first case of pandemic Influenza A (H1N1) in India was reported from Hyderabad, Andhra Pradesh on 16 th May 2009. Subsequently, all suspected cases seeking treatment from A (H1N1) treatment centers and their contacts were tested. Laboratory confirmed cases were hospitalized and treated with antivirals according to national guidelines. We reviewed the surveillance data to assess the morbidity and mortality due to A (H1N1) in the state of Andhra Pradesh (population-76,210,007) during the period from May 2009 to December 2010. Materials and Methods: We obtained the line-list of suspected (influenza like illness as per World Health Organization case definition) and laboratory confirmed cases of A (H1N1) from the state unit of integrated disease surveillance project. We analyzed the data to describe the distribution of case-patients by time, place and person. 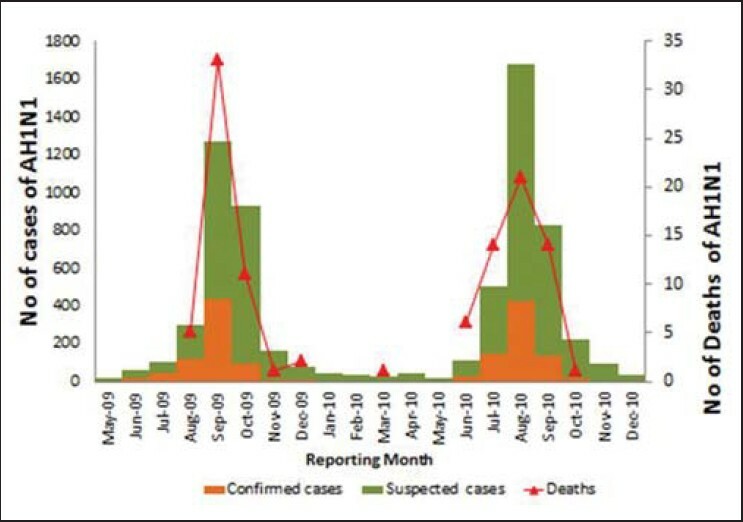 Results: During May 2009 to December 2010, a total of 6527 suspected (attack rate: 8.6/100,000) and 1480 (attack rate: 1.9/100,000) laboratory confirmed cases were reported from the State. Nearly 90% of the suspected and 93% of the confirmed cases was from nine districts of Telangana region, which includes Hyderabad. Nearly 65% of total confirmed cases were reported from Hyderabad. The attack rate was maximum (2.6/100,000) in the age group of 25-49 years. The cases peaked during August-October. 109 case-patients died (Case fatality ratio: 7%) and most (80%) of these patients had comorbid conditions such as diabetes (24%), chronic obstructive pulmonary disease (20%), hypertension (11%) and pregnancy (11%). Case fatality was higher (16%) among patients who were older than 60 years of age compared with other age groups. Conclusions: In Andhra Pradesh, H1N1 transmission peaked during August-October months and predominately affected adults. Case fatality was higher in patients older than 60 years with comorbid conditions. With the Government of India's initiative to ensure Universal Access to health through its flagship program of National Rural Health Mission, the debate on the economic efficiency and sustainability of a 'stand-alone' over 'integrated' programs has become extremely relevant. This study was conducted with the aim to establish opinion on the issue of sustainability of 'stand-alone' HIV program in India. Experts working on health policy development and implementation at various were interviewed on this issue and majority of experts interviewed were of the opinion that a 'stand-alone' HIV program is not sustainable in the long run because of inefficient use of resources. Integration of HIV program with the general health system is essential but it needs extensive planning. Areas like HIV testing centers, prevention of parent to child transmission and sexually transmitted infection diagnosis and treatment can be integrated with the general health system immediately. A cross-sectional study was conducted among 245 under-two slum-dwelling children in Bankura town, West Bengal, to assess their feeding practices and its association with nutritional status. Child's gender, number of family members, standard of living (SLI), and household food security (HFS) were assessed through interview of mothers/ caregivers. Child feeding practices were measured with Composite Child Feeding Index comprising of age-appropriate, multiple, infant and young child feeding (IYCF) indicators and expressed in standardized IYCF score. Weight and length of the children were measured and the nutritional status was assessed using World Health Organization Growth Standard 2006. Standardized IYCF score was significantly lower in undernourished children than those with normal grades. Per unit increase in standardized IYCF score was likely to reduce the prevalence of underweight, stunting and wasting by 2-3% after adjusting for other variables. Low/ very low HFS, low SLI and female gender were associated with underweight and stunting. Chronic illnesses are an increasing cause of morbidity and mortality in rural India. Many patients default from treatment, and exploring their reasons for the same may suggest strategies to improve service accessibility and acceptability. 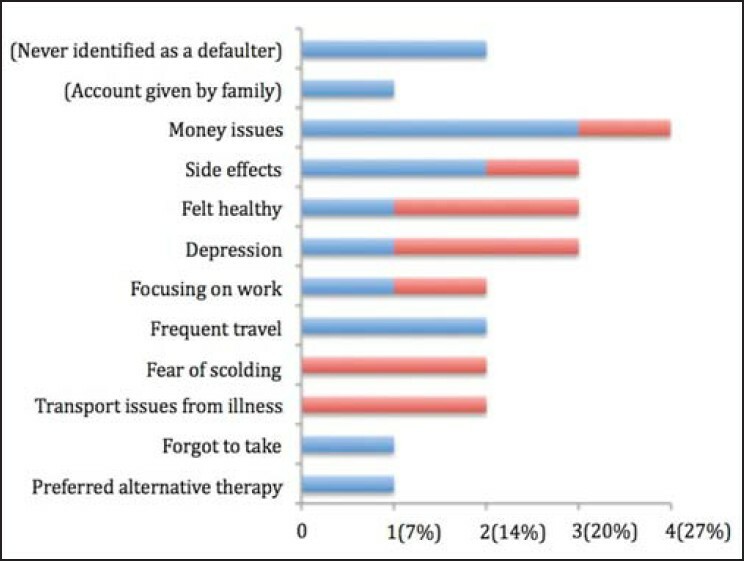 A qualitative study was conducted of 22 patient interviews, six key informant interviews, and two patient focus group discussions for investigating the reasons for default at the KC Patty Primary Health Centre and surrounding villages in Kodaikanal Taluk, Dindigul district, Tamil Nadu. The reasons included money or transport difficulties, frequent travel, feeling healthy, focus on work, fear of scolding from clinic staff, medication side effects, preference for alternative therapy, and depression. Some reasons were only divulged after an extended discussion. Support from families and village-level health workers (VLHWs) were also identified as important. Recommendations include more open and patient communication between health workers and defaulting patients, in addition to recruitment of more VLHWs. Accurate reporting of prevalence of low birth weight (LBW) is important for monitoring health of a population. LBW is often underestimated in developing countries due to heaping of the data at 2.5 kg. UNICEF uses an average adjustment factor of 25% to re-classify babies listed as exactly 2.5 kg into the LBW category. From October 2009 to February 2010, we weighed 859 consecutive live births at a rural hospital in Andhra Pradesh, India, using analog and digital scales to evaluate the relative validity of the adjustment factor. 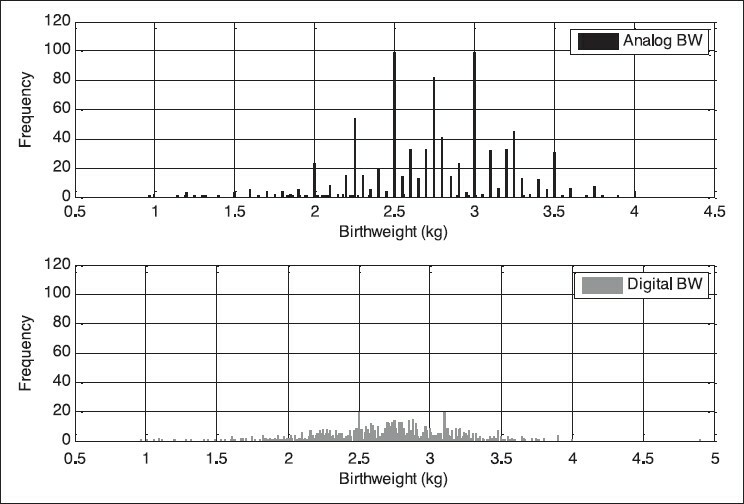 Significantly more babies weighed exactly 2.5 kg on analog (13.4%) versus digital (2.2%) scales, showing heaping. Percentage of LBW by digital method (29.5%) was significantly higher compared to the analog method (23%) and with adjustment factors (26.4%). Conventional methods of adjusting birth-weight data underestimate the prevalence of LBW. Sensitive digital weighing machines or better adjustment methods are needed to monitor LBW in developing countries.